The Voice Kids Season 3 fans have expressed their disappointment over the results of Team Sharon Sing-Offs earlier tonight. 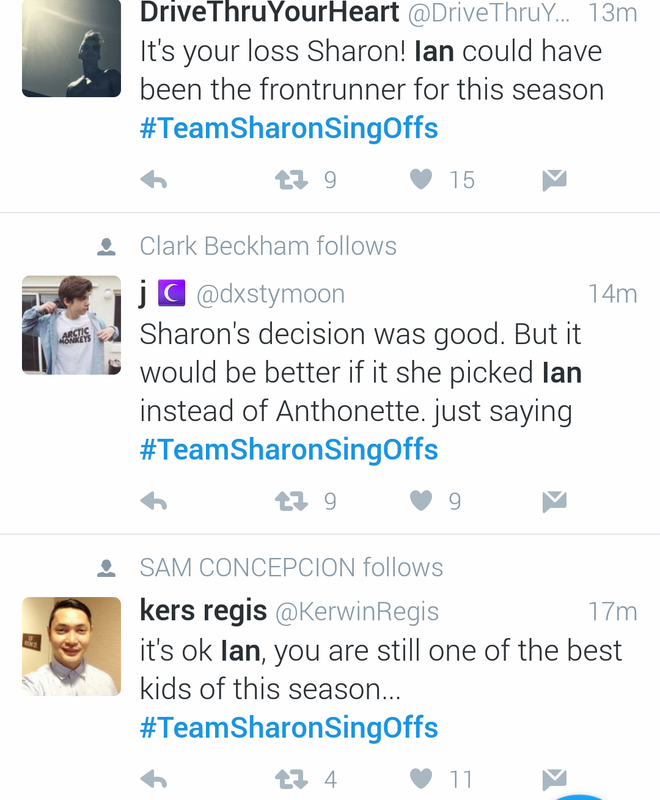 The 8 artists from Team Sharon competed, with only 3 of them advancing to the Live Shows. Who are those 3? 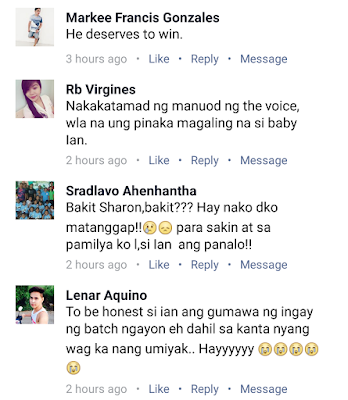 Coach Sharon picked "kakanin vendor" Antonetthe Tismo, Youtube sensation Alvin Dahan and lastly, John Carlo "JC" Tan. 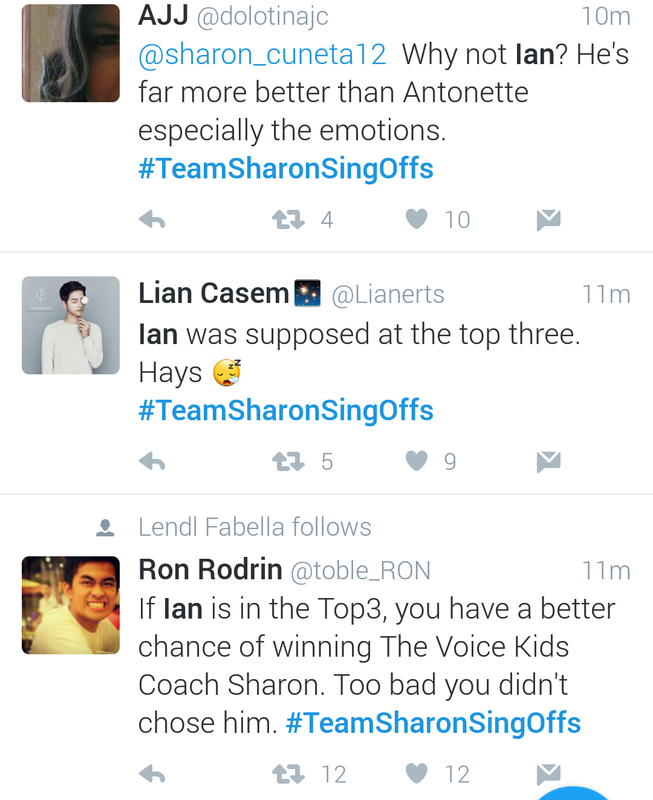 Many were shocked, including this blogger, that Coach Sharon let go of the adorable 7-year-old kid Ian Joseph Prelligera, who for me gave the best performance tonight. 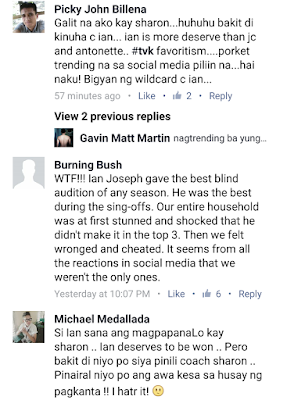 Ian Joseph was a 3-chair turner, just like Antonette and Alvin, during the Blind Auditions. 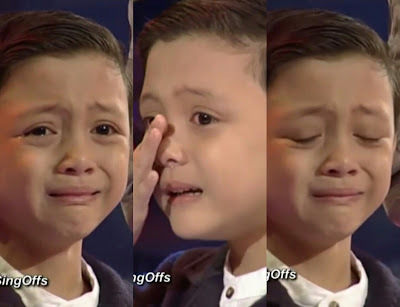 His audition video ("Wag Ka Nang Umiyak") now has over 5 million views on Youtube, and the most liked one this season. 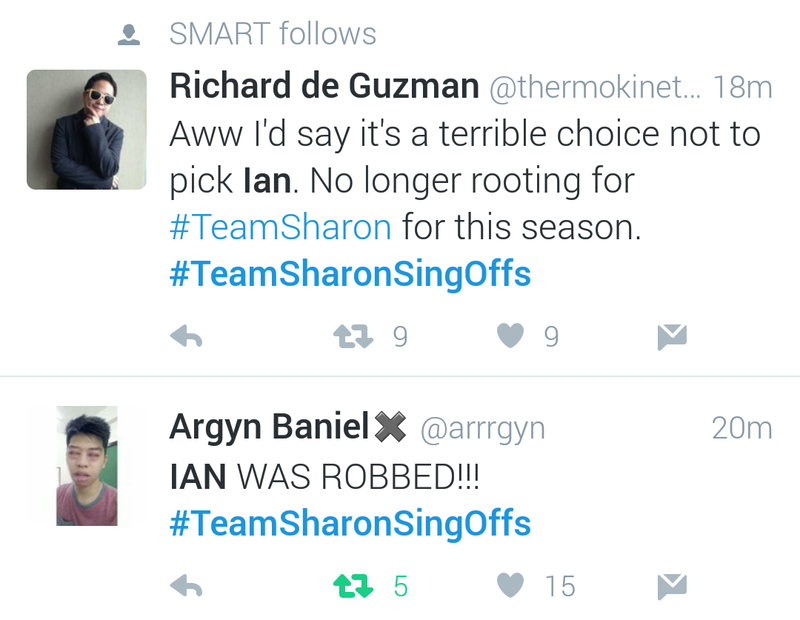 And based on the fans' reactions on the results, Coach Sharon made a 'wrong decision' to eliminate Ian. 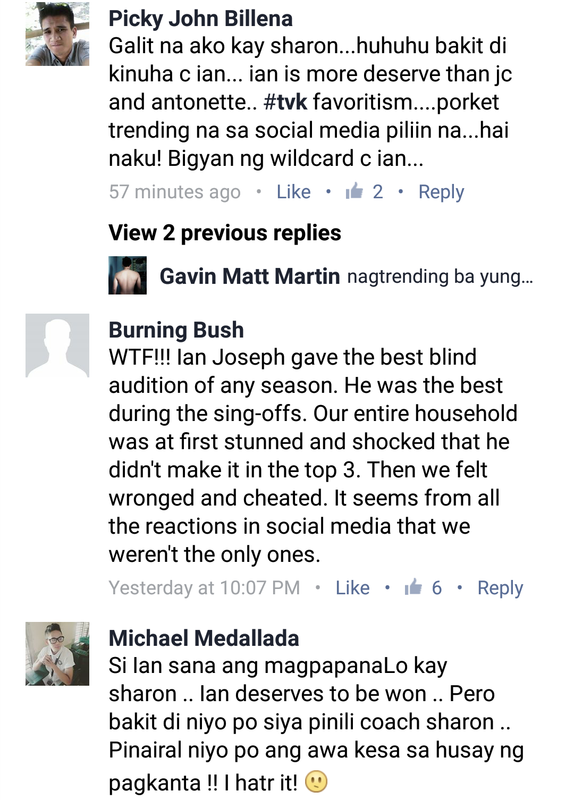 Some are saying Ian was robbed, while others want a wild card slot for him. 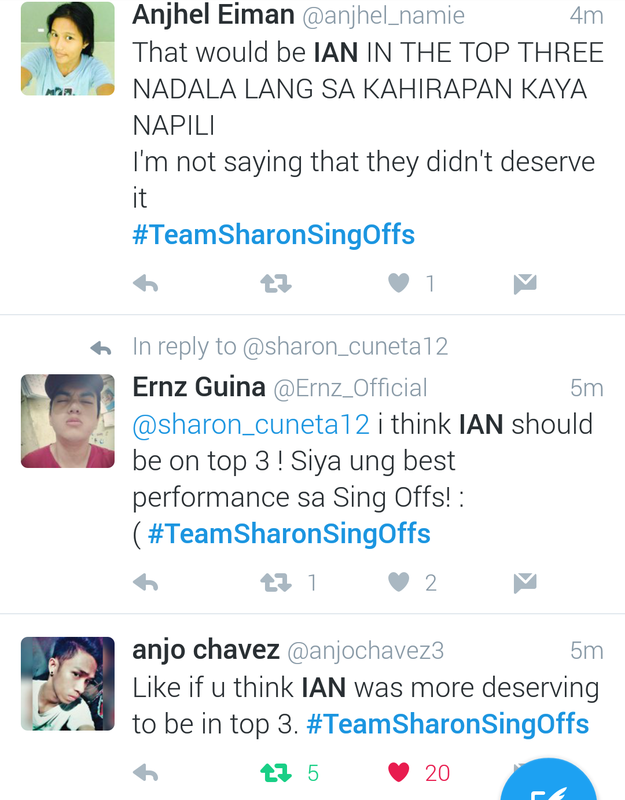 Read these comments from Twitter! 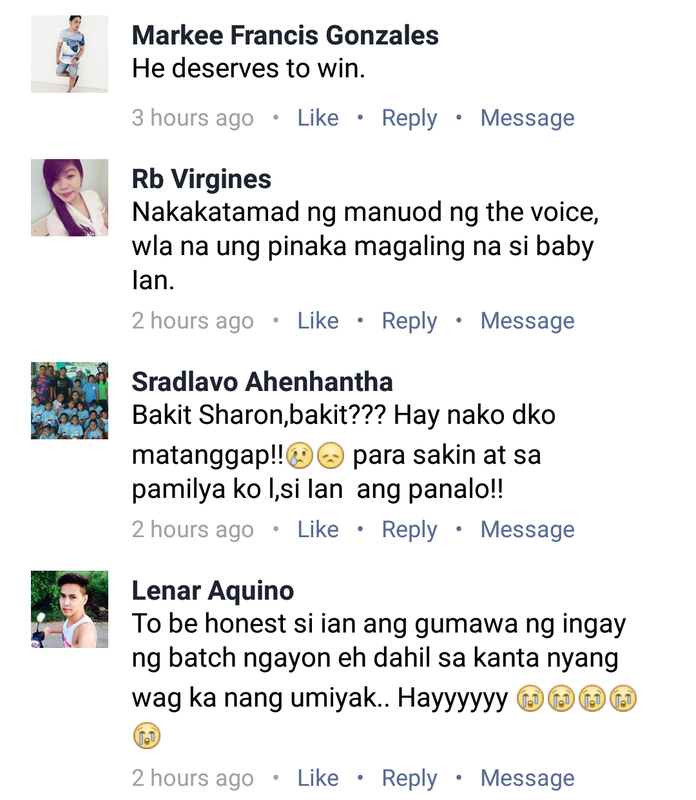 And even on Facebook, the sentiments are the same. 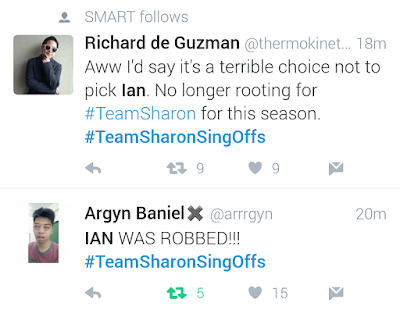 Those reactions remind me of the time when Francis Lim got eliminated during Team Sarah Singoffs in Season 2. 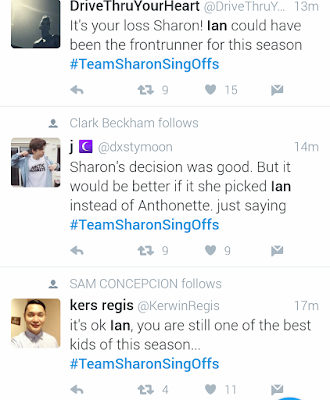 Fans also questioned Coach Sarah Geronimo's decision, and in the end, none of her choices made it to the grand finals. 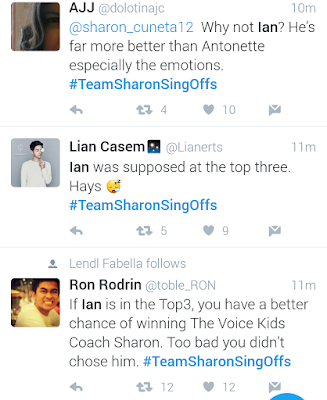 While Antonetthe and Alvin still have a strong chance to make it through the grand finals, I'm not just sure if they're the strongest bets for the grand prize.